For use with Van Ness enclosed cat pans, this zeolite air filter helps remove offensive odors often associated with cat litter pans from the air Made of Zeolite for maximum odor control. 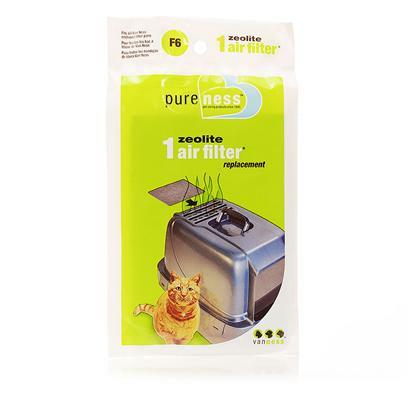 Zeolite is a natural mineral that is able to absorb ammonia odors. Fits CP6 & CP7. One filter lasts for 3 months of use.